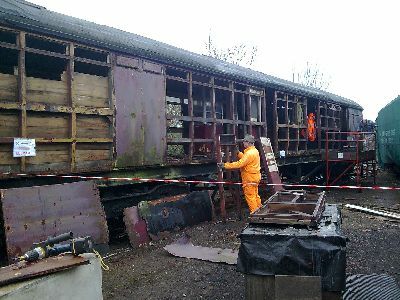 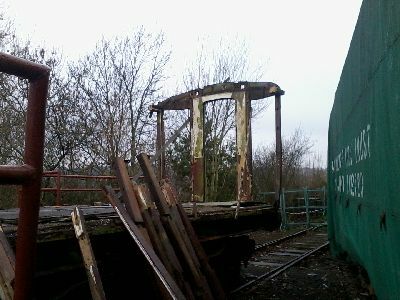 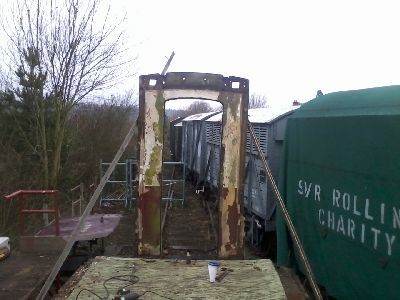 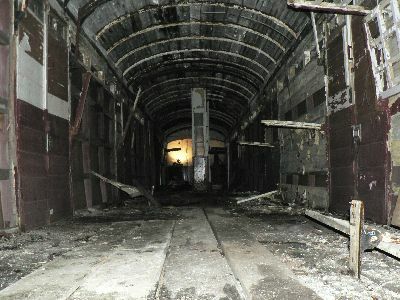 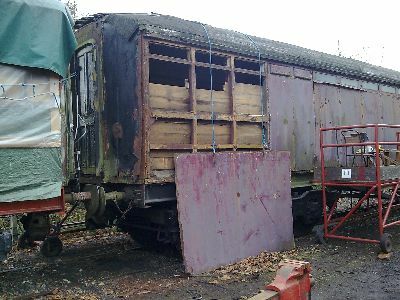 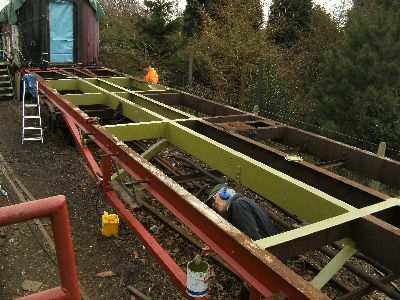 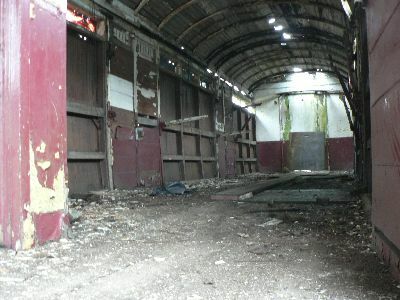 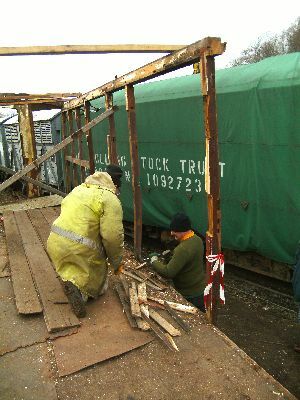 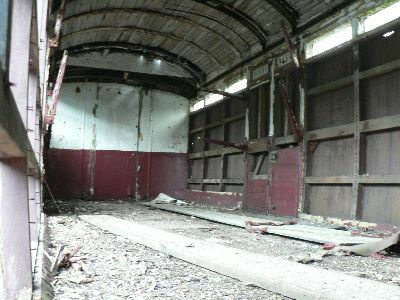 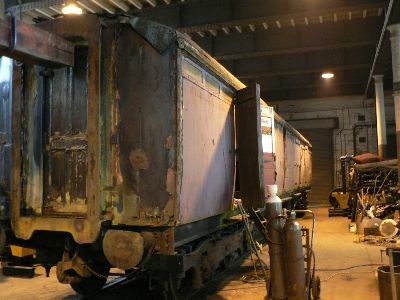 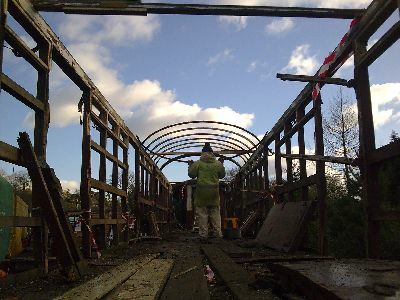 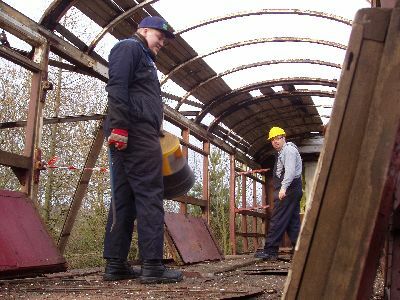 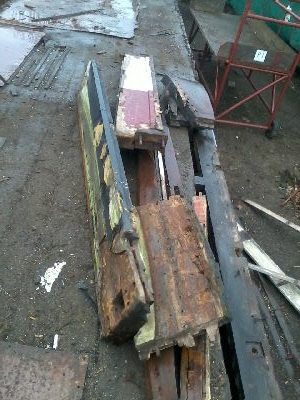 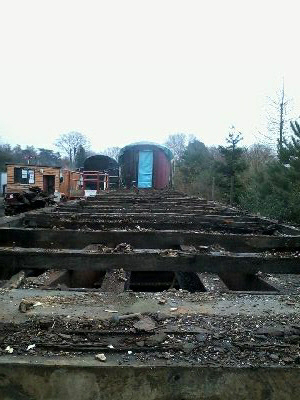 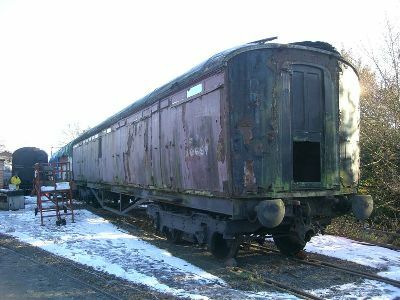 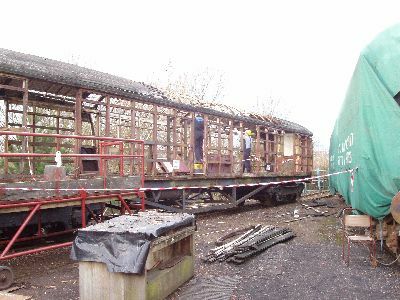 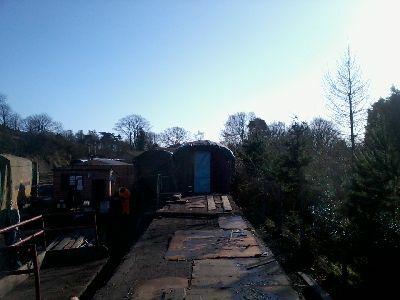 more restorable condition than that currently under 70759, plus several doors, and two gangways. 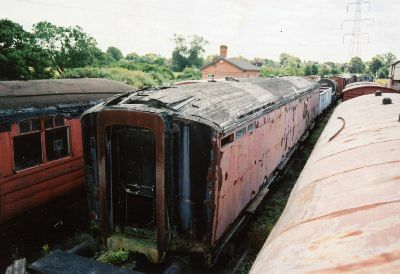 for use on 70759 conversion. 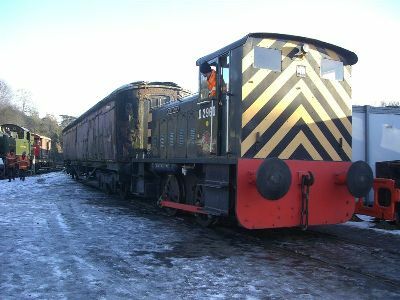 70442 enters the yard and is positioned in the back siding. 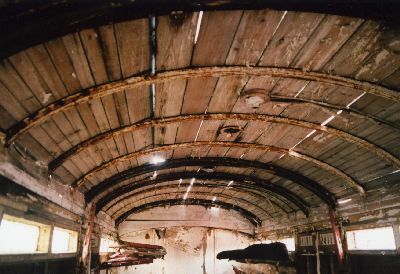 Inside 70442 note light coming through the holes in the roof and the boards covering the holes in the floor. 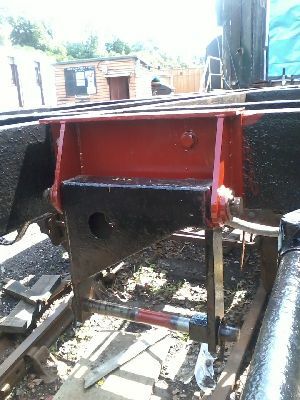 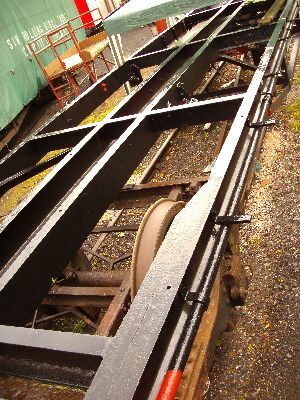 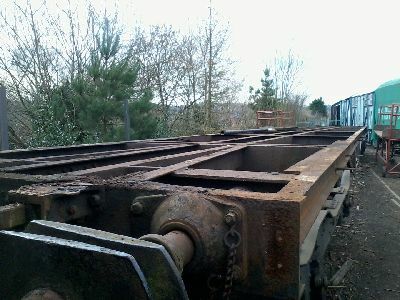 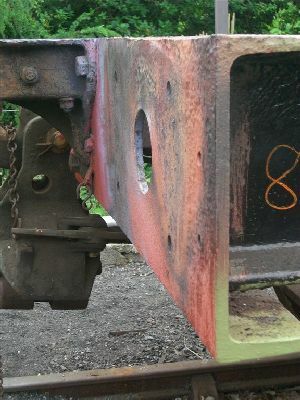 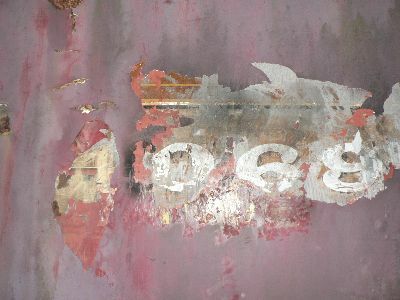 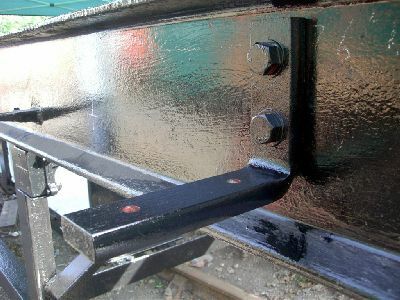 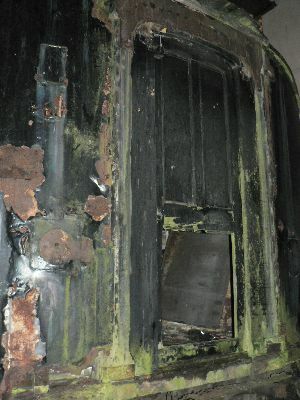 heavily corroded underframe on to the above underframe. 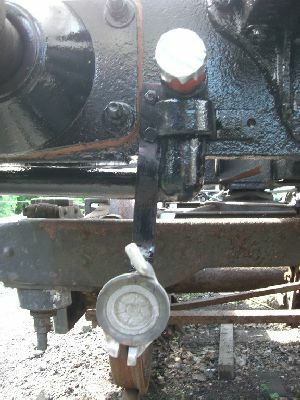 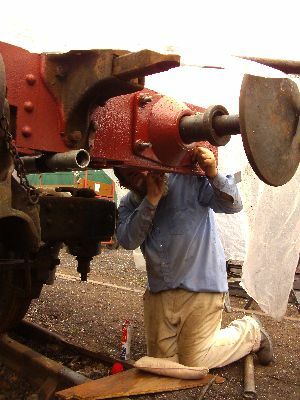 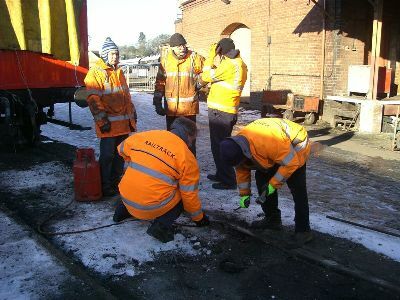 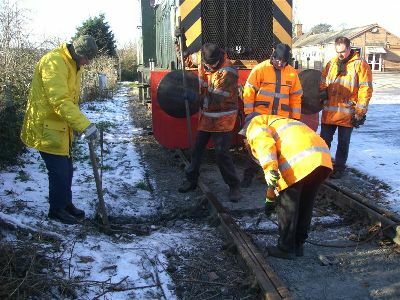 The transfer, a 'first' on the SVR, was achieved in little over three hours to within a quarter inch accuracy.